Built in 2007. All Brick Exterior and Nice Sized Storage Building at Back Corner. This is a Split Split Bedroom Plan (Two Bedrooms and 1 Bath on the Left Side of the House and Bedroom and Bath on the Right Side Up Front and MBR and MBA on the Right Side in Back). Gives privacy to everyone. Grand Entry with Open Plan - Formal Dining Room with Columns and Archway to Living Room - Large Stone Fireplace with Gas Logs. Kitchen opens up to Living Room with an Enormous Breakfast Bar, plus a good size Bkfst Area AND has an Island. Really could be a Gourmet Kitchen with a few Additions. There is a MUD Room/Office as you head to the Laundry Room. High Ceilings and Crown Moldings are also Lovely. Just needs some new flooring and a little bit of sprucing up. 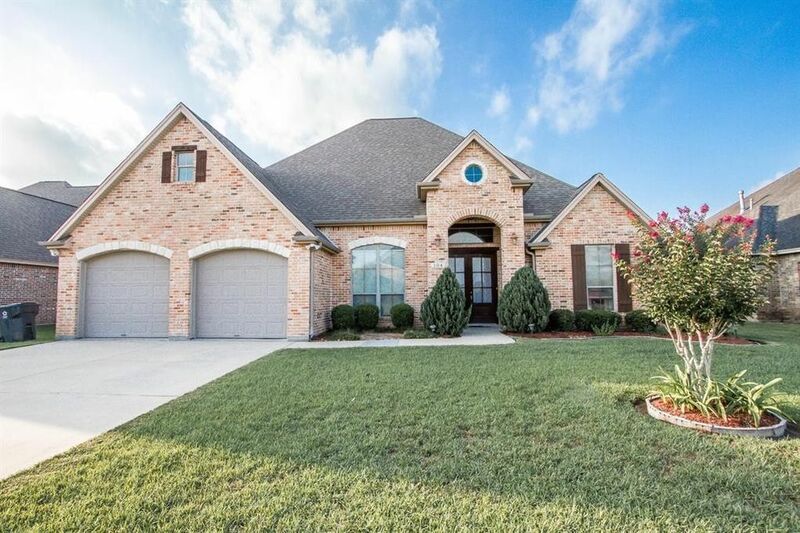 GREAT neighborhood and an Opportunity to Customize this Spacious Home.